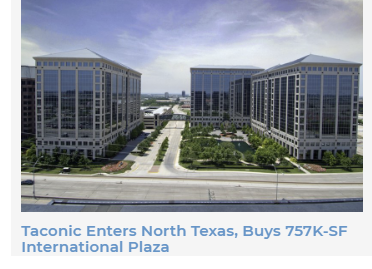 Taconic Capital Advisors struck the off-market deal ​​of International Plaza I & II buildings. The two buildings provide almost 760,000 sf of space. Built in 1999 and 2002, the 13-story and 15-story towers are located just north of Spring Valley Rd. on the west side of the tollway.